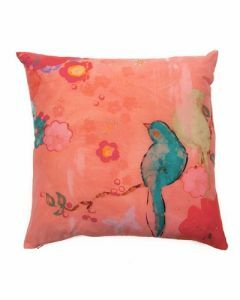 Create a stylish scene in your outside space with this square outdoor decorative pillow. 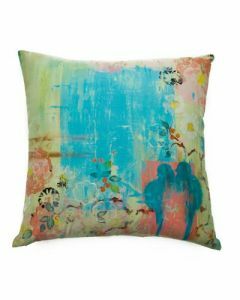 It features inky cobalt blue tones digitally printed onto a resilient water and stain resistant canvas. Reverses to outdoor plain in cobalt and finished with a white trim. It measures 18” x 18”. Fabric is synthetic and the composition is 100% Acrylic. Dry clean only. Sold as a set of two. Click on image for greater detail.